At The Stag Company we’re always on the lookout for new and exciting activities we can offer the guys that book their stag dos with us, and when something like bubble football comes along we’re lucky enough to try out the activity ourselves! This allows us to provide a better explanation of the activity and ultimately provide a better service to our customers. Just before Christmas a number of the sales team and me got to experience the fun that is bubble football, and this is what happened. For those of you that don’t know what bubble football is, the best way to describe it is part five-a-side football, part zorbing? You have a body bubble that you wear as you run around the pitch attempting to play a normal game of footie. Of course, hardly anyone tries to actually play football because its way more fun to bump into each other and try to knock everyone over; at least that’s what we discovered! We had a quick three-a-side game, where we played seven minutes each way and for the first half I forgot there was actually a ball on the pitch. In fact, I was content just to run around the pitch trying to knock over everyone else as often as I could, even the other lads on my team. Apparently both teams scored a bunch of goals, although I can’t remember this but that is most definitely down to the fact that I was too busy running at everyone full pelt for 15 minutes. I got my fair share of knocks as well, one resulting in me being left upside down in my bubble with my legs stuck up in the air, completely helpless for a good minute until someone finally decided to give me a nudge. We also played a couple of other games based around the bubbles too, the first one was the playground classic Bulldog, where we had Dan from sales as the bulldog and everyone else trying to make it from one end of the hall to the other without getting knocked over by him. We carried that on until a winner was crowned, and there were a few seconds where I thought I might actually win, until Steve came out of nowhere to take me out. No such luck this time Lee! We also had a quick relay race where we took turns to tuck ourselves into one of the bubbles while the others on our relay team rolled the man / woman in the bubble from one end of the hall to another, before they jumped out and the next member of the relay teamed tucked in for the return leg. Our team got the order of whom to roll right, which meant we had a fast last leg with the lightest person in the bubble, resulting in a dead heat! Finally, with 15 minutes left of our session we were encouraged to have a bit of fun with the bubbles, which resulted in us taking long run ups and trying to knock someone else as far as we could, which turned out to be great fun! There were no injuries, just a few videos that still have us laughing when we think about them a few weeks after the activity! http://youtu.be/IUa66kJAjL4 Depending on where you play bubble football you might even be able to partake in a number of other games based around the bubbles, just like we did in Brighton. Want to Have a Bubble Football Stag Do? Now that you’ve got a taste of what bubble football entails, you’re probably thinking you should be enquiring about a bubble football session for your mate’s stag do, right? We currently offer bubble football in Sheffield, Blackpool, Bournemouth, Southampton, Leeds, Chester, Brighton, Cardiff, Manchester, Liverpool, Edinburgh, Newquay, Birmingham, Bath, Glasgow, and Torquay. 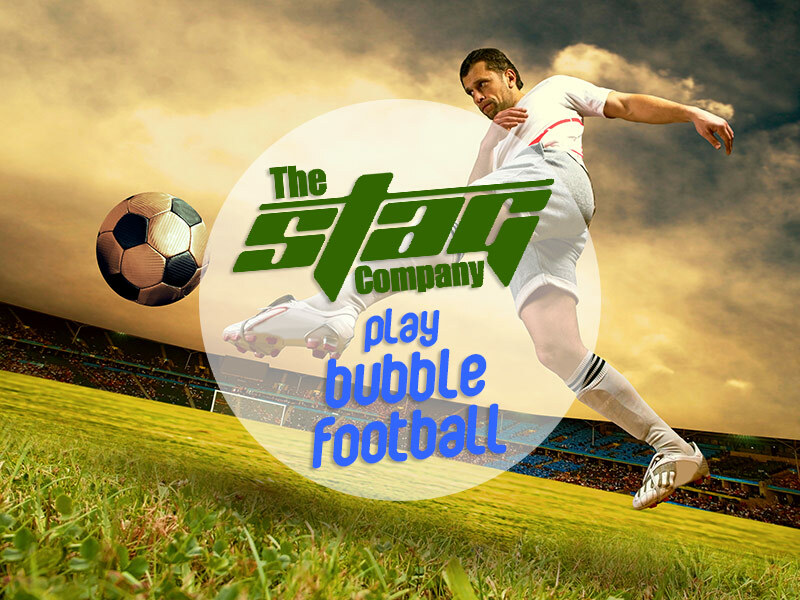 You can find out more and enquire about booking bubble football (including our ‘Aving a Bubble Stag Weekend Packages) on our website by clicking here.